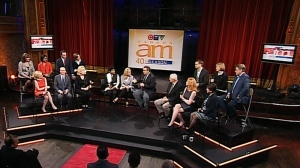 Watch the archive of the Canada AM live chat as we celebrated our 40th season on Friday morning. Canada AM's celebrated its 40th birthday bash with a show broadcast live from the Masonic Temple in Toronto. Current and former hosts reflected on stories and interviews that stuck with them. IN PICTURES Canada AM director Nilesh Hathi's exclusive photos from behind the scenes of some amazing guest appearances. 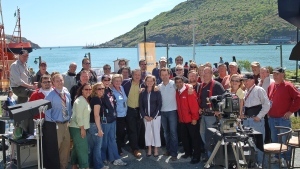 IN PICTURES Canada AM director Nilesh Hathi shares exclusive photos of the Canada AM team on location. overseas and across the country. IN PICTURES Behind the scenes with the Canada AM team as they travel, work and have fun. Now in its 40th year, Canada AM celebrates four decades of waking up Canadians with a special week of retrospective programming. Of all the topics covered and the interviews with guests over the last 40 years, Canada AM hosts share the stories that stayed with them the most. After 40 years of waking up Canadians, the Canada AM team share their memories from the early shift, what it’s like being on live television and the days they wish they didn’t miss. 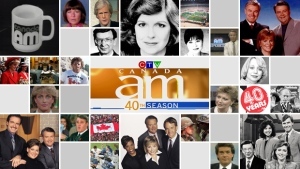 40 years of Canada AM means 40 years of special guests, celebrities and interviews. Canada AM hosts share some memories about their favorite interviews, who surprised them and the interview they wish they got. Over the years Canada AM brought a variety of experts into the studio and into your living room. They shared their trade secrets and expertise, now they share their Canada AM memories. 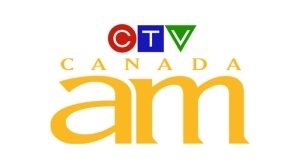 Canada AM has shared memories from four decades of being on the air, now we hear from you the viewer, thanks for waking up with us all these years.